Rosuvastatin lowers cholesterol more than all the other statins, and because of this, it was hailed as a breakthrough drug. With a huge advertising budget behind it, it became a blockbuster—the top selling statin. But it has a checkered past, and as time goes by, more and more problems seem to be turning up, and less and less benefit is evident. Rosuvastatin’s presumed benefit was its extreme lowering of LDL cholesterol, like from 120 to 55. A lot. A decade ago, it was widely believed that cholesterol was some sort of toxin, and so the less of it the better. This thinking has been substantially revised, for reasons we will get to in a moment. What did the Lancet mean by aggressive marketing? AstraZeneca cooked up a campaign that is a bit heard to describe—massive wouldn’t do it justice. The Budget: ONE BILLION DOLLARS. This isn’t chump change. With this kind of dough, they can hit every doctor, and run ads on all the public media with messages like: “Layperson: Go Pester Your Doctor Till He Prescribes This Stuff.” Followed, as usual, by a list of conceivable side effects rattled off at light speed. What can be done with a billion dollars? New drugs are expensive to develop. Maybe $50 million a pop. So 20 new drugs is one possibility. In case you are wondering, the overall big pharma advertising budget is $100 billion annually. You may think some central medical authority would say which drugs should be used and where. The FDA maybe, or maybe the American Medical Association. Time to rethink that one. A big breakthrough for the drug came in the 2008 JUPITER trial, a massive study testing rosuvastatin for people with no evidence of heart disease but, with high levels of CRP. CRP is a reaction to some sort of inflammation. The trial went well, and was called off early because of a high reduction in cardiac events. The FDA approved rosuvastatin as a primary prevention drug in 2010, but not secondary prevention. But what about the Jupiter trial? Well, first, it was sponsored by AstraZeneca. Always an eyebrow raiser. Second, it was cancelled early, due to extreme ‘benefit’. Some researchers not associated with the company or the trial decided to take a second look at the data. From the June 28, 2010 issue of the Archives of Internal Medicine: “The reanalysis of the massive JUPITER trial involving almost 18,000 people with low or normal cholesterol but elevated levels of the inflammatory biomarker C-reactive protein (CRP) — turned up no evidence of the “striking decrease in coronary heart disease complications.” Uh oh! The authors went on to state: “Moreover, a close examination of the all-cause mortality curves shows that the curves were actually converging when the trial ended, suggesting that the borderline significant difference between groups may have disappeared in the case of a slightly longer follow-up,..” Translation: we think the books were cooked, and that there is no benefit. With benefit tossed out the window, what about side effects? So far, rosuvastatin users have seen a 27% increase in adult onset diabetes, and a high degree of myopathy. Myopathy is the death of muscle cells. This is permanent. Muscle cells don’t grow back. If you take it as a given that the body needs cholesterol, a major cell wall building block, it should come as no surprise that cutting the supply in half would have consequences. Kidney and liver toxicity is reported as well: depression, impaired memory, fatigue, joint and muscle aches. Sounds like fun. 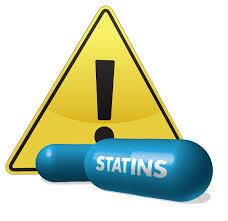 Other statins have similar issues, but they appear to be significantly worse in the case of rosuvastatin. The answer is easy. Combine the false belief that cholesterol must be lowered at all cost, and a billion dollar marketing campaign, and you’ve got the reason. Statin user’s: as a typical ad would put it: “Ask your doctor if you should be taking rosuvastatin.” If he answers ‘yes,’ make him thoroughly justify this opinion. ← Octopuses—An Alternate Evolutionary Track? How does big pharma sleep at night? 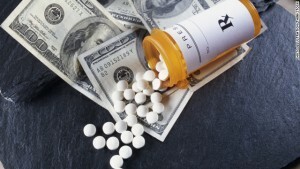 What about the pharma reps – selling to the doctors? When will these people finally look in the mirror and ask themselves if they are proud to be who they see?! Also, I don’t accept the terminology such as “low” cholesterol, as it started reminding me Alzheimer’s (after reading recent Post). Can we say “healthy” cholesterol? I don’t know. Dr Mike knows. playing frisbee with the kids, I can hula hoop again- I feel like I’m 20 again! HIGHLY RECOMMENDED !! YOU WAS COURAGEOUS! AGAINST ALL ODDS YOU DID SURVIVE! AND YOU STILL KEEP YOUR BODY AND SOUL TOGETHER!